« Can you CNC a classic American chair? Of course you can. Cutting and carving on the tools generated interest and questions from cabinetmakers, entrepreneurs, hobbyists, and soon to be retirees looking for second-career opportunities. 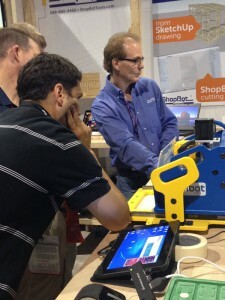 Some attendees saw the machines in action and wanted to know more about how our tools can fit into their work flow. 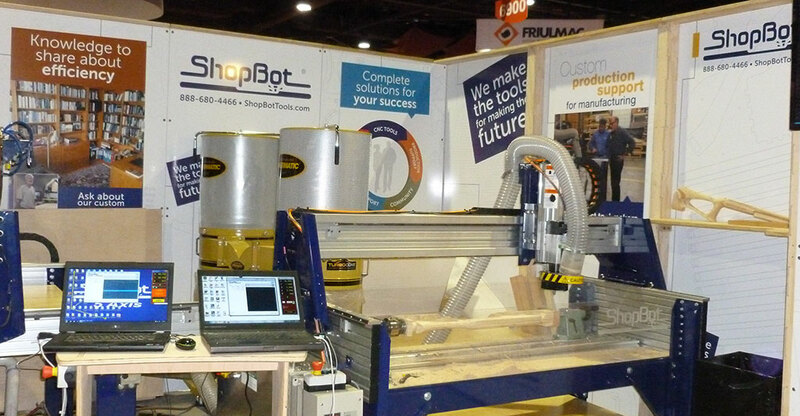 Our booth showed a variable range in size and set-up of tools: the 4×8 PRSalpha ATC, a large indexing tool, and the ShopBot Desktop. We cut everything from logos, impromptu signs, baseball bats, to gun stocks, Swedish-style carvings and more. The Handibot Smart Power Tool came with its own fan club, and allowed us to tell the story of where we see the Handibot’s development going and its supporting ecosystem, as well as share Handibot’s unique ability to “go with you” to the job site and to the material. Habitat for Bats makes bat houses and stays busy with selling and producing that product year round. 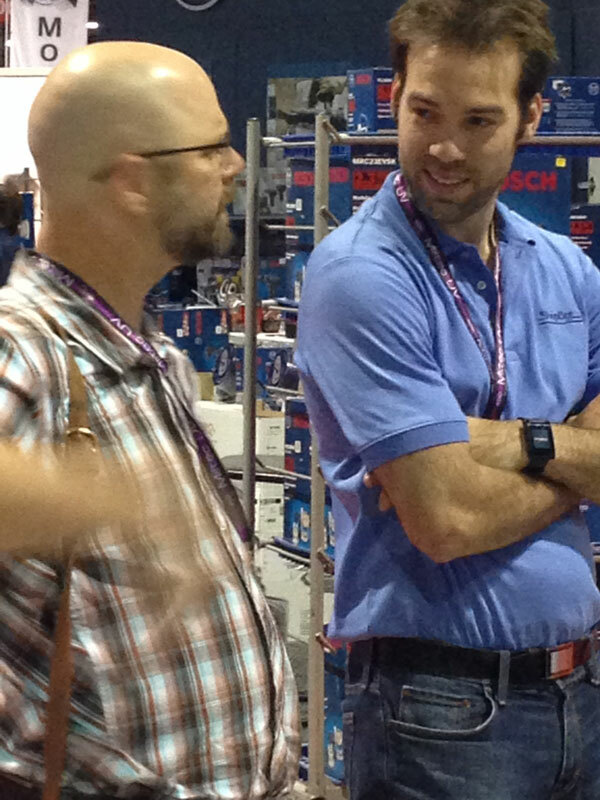 Wright Elevator Solutions uses their tool primarily to make parts for custom elevator car kits. Ted Derryberry of 7.62x54r.net makes Plywood gunstocks, and during downtime makes intricate wooden bracelets on his ShopBot. KidsFit Manufacturing makes ­­furniture for kids that incorporates kinesthetics. Shout-out goes to John Zehren of the Field Museum and Eric Schimelpfenig, SketchThis.net who were a tremendous help in the booth sharing their experiences. Eric’s impromptu SketchUp and Handibot advice was much appreciated. John brought with him models of animal skeletons and mummy cases from his work at the Field Museum in Chicago, as well as his infectious excitement for digital fabrication.